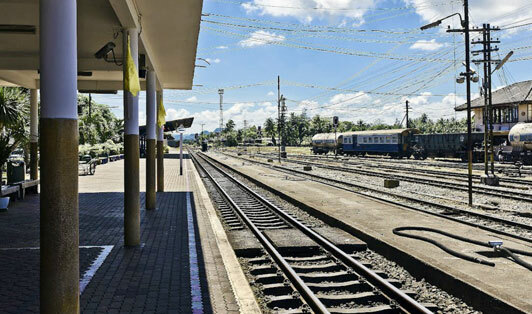 Chumphon Province has its own railway station located in Tha Taphao Subdistrict in Chumphon City. All trains going further always stop there because it is the first fueling station from Bangkok. And only 250 meters away from the entrance you’ll find food carts that are set up by locals every night.